BSc HQHA Programme | Institute of Hotel Management, Catering Technology & Applied Nutrition. The National Council for Hotel Management and the Indira Gandhi National Open University offer the Bachelor of Science program in Hospitality and Hotel Administration jointly. The Three-Year program equips students with all the required skills, knowledge and attitude to efficiently discharge supervisory responsibilities in the Hospitality Sector. The program also involves in-depth laboratory work for students to acquire required knowledge and skills standards in the operational areas of Food Production, Food and Beverage Service, Front Office Operation and Housekeeping. The program imparts substantial management inputs in area such as Sales and Marketing, Financial Management, Human Resource Management, Hotel and Catering Law, Property Management, Entrepreneurship Development, Computers with special focus on Tourism Studies. 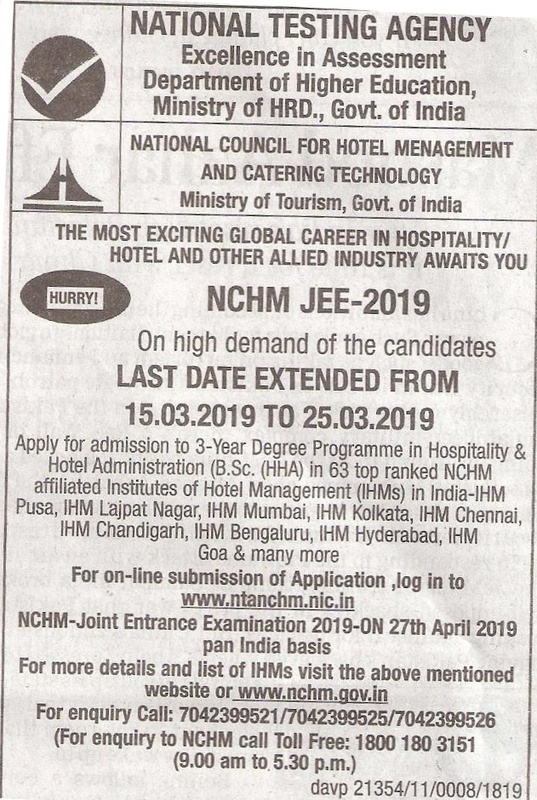 The National Council for Hotel Management & Catering Technology centrally regulates admissions to B.Sc Hospitality & Hotel Administration Program by conducting Joint Entrance Examination (JEE) in the month of May.